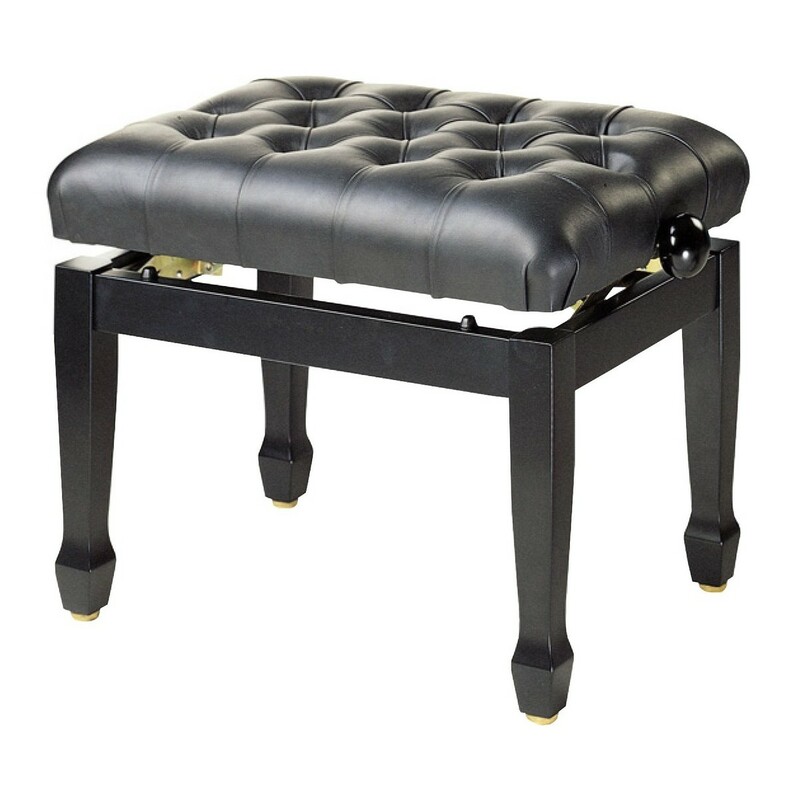 The Stagg Concert Leather Piano Stool features a bespoke design for the performing musician. The adjustable height allows you to tweak the stool to your exact preference. The leather seat cover is a durable material that is also comfortable. This model's four-legged frame provides a balanced structure that's stable on the stage. The stool's soft padding means you can perform for hours with a comfortable posture. Finally, this stool has a polished black finish for a timeless look that will complement any setting.